← Tet schedule and more! Speed training returns tonight (Wednesday) after the Tet holiday. Meet 7pm @ Sedona gates, 96 To Ngoc Van street. All welcome. This Saturday our usual social run will take place at 3.55pm. Also meeting @ Sedona gates, 96 To Ngoc Van street. All distances catered for! All the details have now been finalised – head over to our dedicated race page on our website for all the information about our annual post-Tet race followed by our first ever social event. To register for the race (for free!) and/or the social, click here. We are looking forward to seeing as many familiar and new faces as possible for these exciting events!! p.s. We wish the very best of luck to RRR Richard (RRRR?) who is off to compete in the Standard Chartered Hong Kong marathon this weekend! Hello! I want to run 10K race. 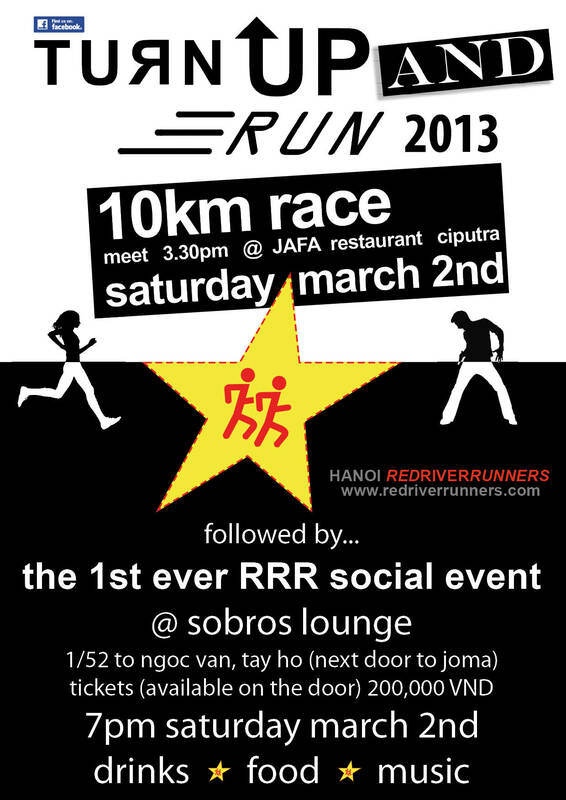 Should I register march 2nd before start of the race (3.30 pm) or several days before? How I can get start place by bus from Hoan Kiem Lake?